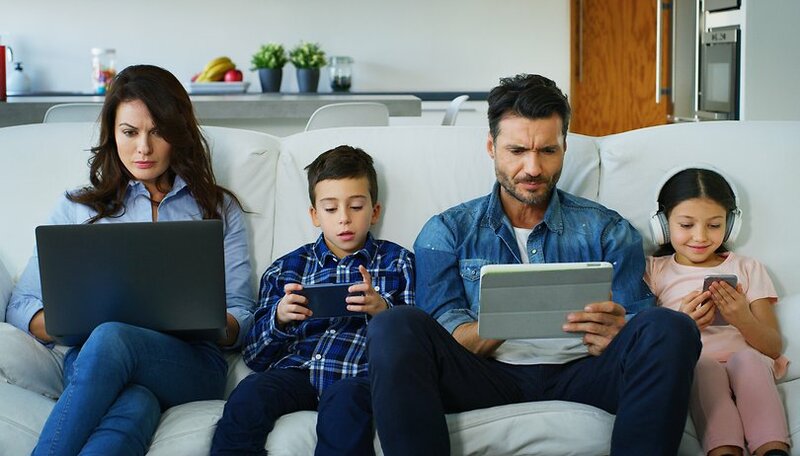 When our children reach the age where they use a smartphone or tablet, it is important to take them by the hand and show them how to use the devices, and more importantly the Internet, properly. Child protection apps like Qustodio are well suited for this. There are quite a number of child protection apps on the market and Qustodio is among the most popular. The app is available for Android, iOS, Windows, Mac, and Kindle and we decided to have an in-depth look at the Android version. The setup is done quickly and easily, set your email address and password, that's it. Qustodio can be used either free of charge or with the Premium Package, which includes more options. You have the choice between the three variants Small ($54.95 per year) Medium ($96.95 per year) and Large ($137.95 per year) for five, ten or fifteen devices. In order for Qustodio to perform its protective function properly, some permissions are required on the child's smartphone. The app must have permission for device management, among other things so that the child cannot simply delete it themselves. The authorization for accessibility features is necessary to give Qustodio access to all web content, apps and settings. Qustodio has seven important areas in which it monitors and controls the use on children's smartphones. The parents can determine for each area of Qustodio what the children are allowed to do and what not. Individual apps and websites can either be activated or blocked as a whole, or their use can be monitored. In order to monitor the social media accounts, the login data is necessary. SMS can only be monitored in terms of content, but not completely blocked. You can configure the boundaries for your child from your smartphone, but it's more convenient on the computer. Individual rules and exceptions can be defined for all areas of Qustodio. Entire areas can also be excluded, for example, if you do not want to monitor the child's location in general. Qustodio is not stingy with notifications, on the contrary. Parents receive detailed information about what the children are doing on their smartphone, both by e-mail and as a direct notification on the parent's device. Also, with children the communication is always clear: you may, you may not, the time of use is over and so on. The automatic detection of problematic web content works quite reliably with Qustodio. What comes to mind once in a while: not all texts are translated correctly, at least when I tried it in my own native language (German). Here the provider still has to do some detailed work, even if it is usually clear what is meant by the reports. Also, the appearance of the app, as well as the web interface, could use a fresh coat of paint to look more modern. However, this does not impair functionality. The best thing about Qustodio are the very finely adjustable rules. As a parent, you can not only allow or forbid on which pages the offspring is on the web, but you can also allow some pages first, but control them directly. In times of cyberbullying, monitoring the social media activities of the little ones is also very reassuring. We have a cooperation with the creators of the discussed app. However, this article was written without any influence on the content. I understand the magazine is going through something of a rebuilding and trying some things, hopefully this is constructive. If an article is titled "We Tried ...", readers might reasonably expect some serious review of actual use rather than a rundown of developer marketing claims. The writer gives the impression of briefly installing the app and notes some German translation and cosmetic issues, but that's it, when we're talking about vulnerable users and the wild, unholy, but richly informative and fun internet. In particular, did we try with our kids and did we and they actually like or dislike what it guides or prevents them doing? When an article ends with a note about "cooperation" the clear question is whether it should be labeled as a "sponsored" article as other magazines often do - I don't object to such articles, they can be informative, but readers ought to know if money changed hands for the appearance of the article. On the other hand, if more than a sponsored piece calling attention to a service, the true value of expert tech journalism is in comparing or differentiating other apps or services that might interest readers. I agree on all points and hope the editors take note of this solid feedback.